The water heater in your home is critical to your plumbing setup. You need to get your heater maintained so it will stay functional and easy to use. There are several things that can be done to help you keep your water heater in check and fully functional. These are needed to keep your plumbing system from being at risk of serious harm. The first idea is to drain water through your heater at least once a year. You should get several gallons of water through your heater to clear out sediment buildup. This, in turn, improves how the heater works while also reduce any possible blockages. It also keeps corrosion from being a threat due to the sediment. As this works, the heater will become much more effective and easier to use. The ambient area around your water heater must be inspected. 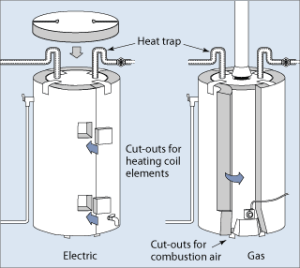 Keep the water heater away from cold or hot areas so it will stay functional. Temperature extremes can harm this part of the plumbing system by either causing it to become a fire hazard if it is too hot or forcing it to work harder than necessary if it is cold. Make sure the area around the heater is protected and secure so the temperature around it is comfortable. The temperature setting for your water heater must be checked properly. You must keep from using at 120 degrees Fahrenheit or greater. You should look at the temperature you use and see how well the water comes out. In most cases, you should be able to get enough hot water when you use a setting of 120 degrees or less. If the heater is using more power, you might have to look at the insulation materials needed to keep your heater working. The relief valve should be tested regularly. It should be able to let out enough pressurized air when needed. You can test the valve by lifting the lever for it and then snapping it back. The valve should let out a bit of water into the drainpipe. You must contact a professional Dallas Plumbing Company for help if this part of the heater isn’t working. On a related note, the relief valve should be tested based on how well air carries through. The area around the valve should be open enough so there is no backup in terms of how much air is moving out of it. Remember that your water heater is a key part of your plumbing setup that must be inspected and tested regularly. Be sure to watch for how it is running and that you are using it properly without any problems. For Dallas, Texas plumbing services click here to reach Dallas Plumbing Company.